Hima Davis malayalam actress is on cloud nine after making a dream debut on silver screen romancing Jayasurya in Mumbai Police, an upcoming malayalam movie directed by Rosshen Andrews. Hima who hails from Vienna had lent her face for Vodafone Thaka Dhimi and few advertisements. Vibrant and charming Hima is truly excited to make her debut with the young superstars in malayalam. It seems that malayalam movie industry is riding high with arrival of new faces who are ready to showcase their talents on big screen. As television has become a popular media to reach people there are a number of young actors getting advantage out of it. For some modeling has turned to be stepping stone, for others reality show has proved to change their fortune. It was Hello Good Evening which set the platform for Remya Nambeeshan, Idea Star Singer for Meera Nanda, Indian Voice music reality show brought fame to Chandini and Marimayam gave popularity to Rachana Narayanankutty. 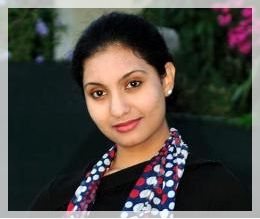 Adding one more to the line, it's time for Hima Davis, a keralite settled in Vienna to show her talent on big screen. Hima had already reached the audience through Vodafone Thaka Dhimi, a dance reality show in Asianet and also in few ad films too. 'Mumbai Police' would be a perfect platform for young Hima to start with young heroes Prithviraj and Jayasurya. She will be making her dream debut in 'Mumbai Police' as Jayasurya's leady love. 'Mumbai Police' directed by Rosshan Andrrews is an action thriller film which is blessed with the presence of Bobby and Sanjay duo who scripted the movie. The theme of the movie spins around the friendship of three police officers played by Prithviraj, Rahman and Jayasurya. Anoop Menon, Kunjan, Riyas Khan, Meera Nandan, Aparna Nair, Mukundan, Chali Pala, Captain Raju, and Rohit will be seen in supporting cast. Produced by Nisad Haneefa, Nivas Haneef and Niyas Haneefa under Nishad Haneefa Producations, Mumbai Police would break the silence with the background score and soundtrack composed by Gopi Sunder while the lyrics has been penned by Santhosh Varma. The cinematography is safe in the hands of G. Diwakar. Ernakulam Assistant Commissioner Antony Moses (Prithviraj), City Police Commissioner Faran (Rahman) and Mattancherry Assistant Commissioner Aryan John Jacob (Jayasurya) are true police officers who had proved to be efficient officers employed at Kochi having an active connection with Mumbai. This thriller would run through a different path putting each inch of the movie under suspense. Alan Ameen who had been a part of more than 90 movies as fight master will give life to the breath taking action sequences. The shooting of Mumbai Police is currently progressing and would reach theatres on 3rd May 2013.